More than a biography and ‘bigger than boxing’, The Complete Muhammad Ali is a fascinating portrait of the twentieth century and the beginning of the twenty-first. Ishmael Reed calls it The Complete Muhammad Ali because most of the hundred odd books about the Champion are “either too adoring or make excessively negative assertions.” They also omit many voices that deserve to be heard. 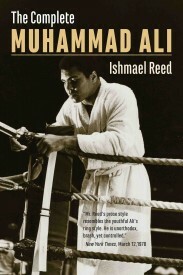 Ishmael Reed charts Muhammad Ali’s evolution from Black Nationalism to universalism, but gives due credit to the Nation’s of Islam’s and Black Nationalism’s important influence on Ali’s intellectual development. People who led these organizations are given a chance to speak up. Sam X, who introduced Ali to the Nation of Islam, said that without his mentor Elijah Muhammad, nobody would ever have heard of Ali. That remark cannot be ignored. Reed, an accomplished poet, novelist, essayist and playwright, casts his inquisitive eye on a man who came to represent the aspirations of so many people worldwide and so many causes. 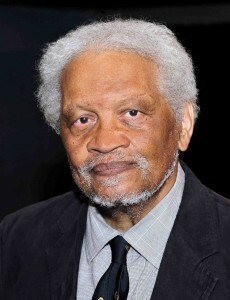 He also brings to bear his own experience as an African American public figure, born in the South in the same period, as well as an encyclopaedic grasp of American history. People interviewed include Marvin X, Harry Belafonte, Hugh Masakela, Jack Newfield, Ed Hughes, Emmanuel Steward, Amiri Baraka, Agieb Bilal, Emil Guillermo, Khalilah Ali, Quincy Troupe, Rahaman Ali, Melvin Van Peebles, Ray Robinson, Jr., Ed Hughes, Jesse Jackson, Martin Wyatt, Bennett Johnson, Stanley Crouch, Bobby Seale, and many more. Reed also places the Muhammad Ali phenomenon in the history of boxing and boxers from before the times of Jack Johnson, through Joe Louis and Archie Moore to Floyd Mayweather. He also includes Canadian fights and fighters like Tommy Burns, George Chuvalo and Yvon Durelle.